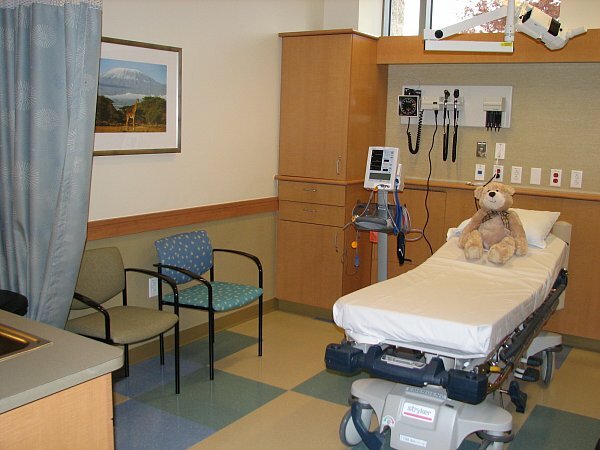 The ER features kid-friendly fast track exam bays. 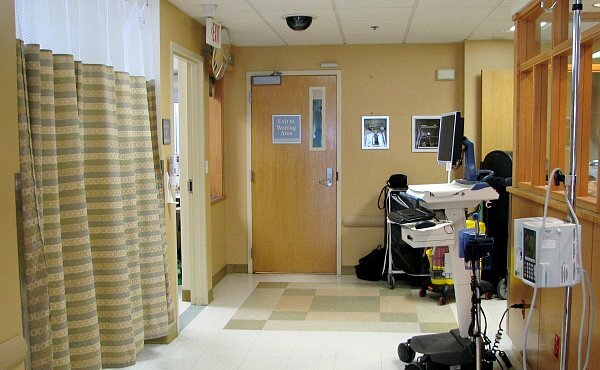 Color and texture warm up the ER. 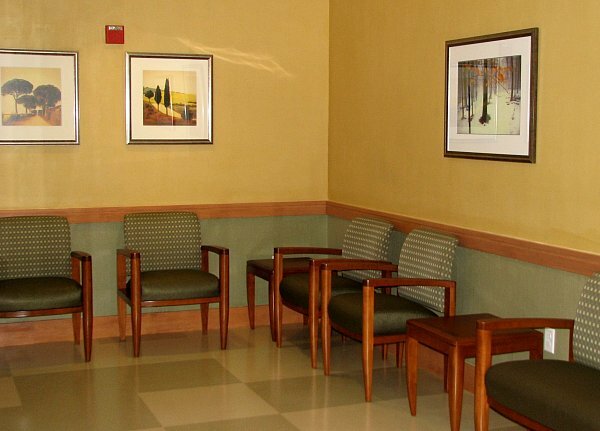 Artwork enhances the healing environment. 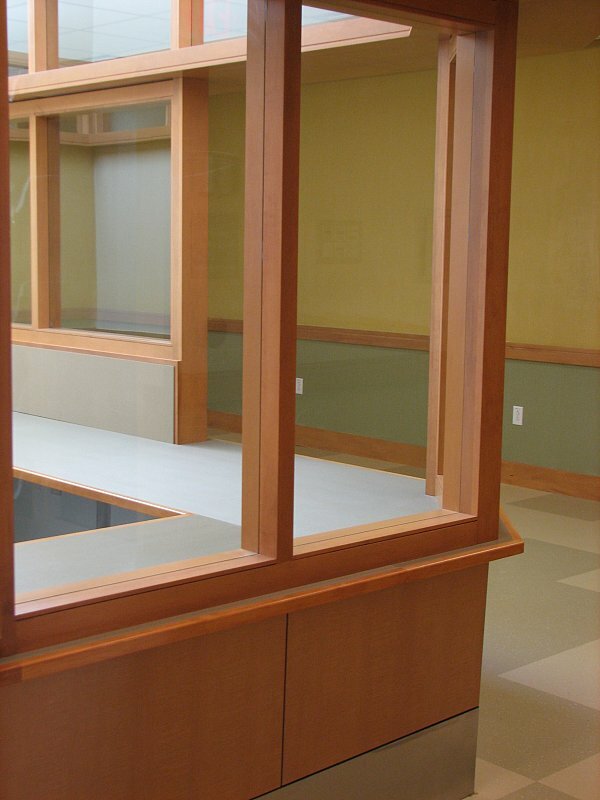 The reception desk offers privacy as well as visibility to the waiting area. 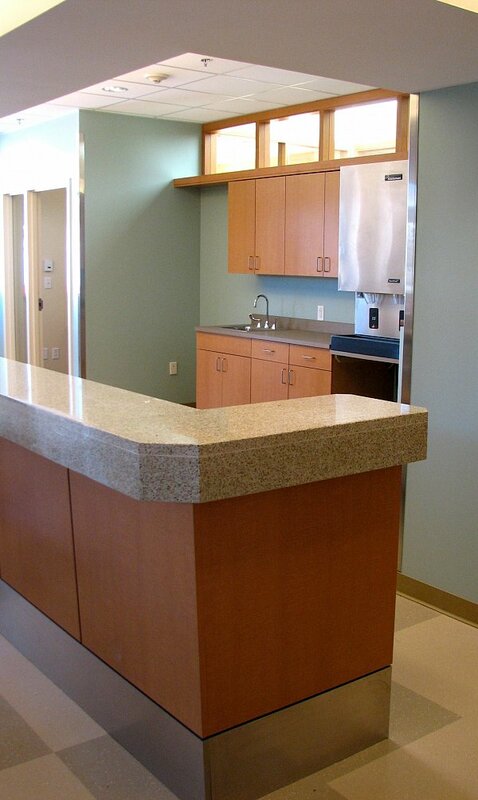 Finishes are reminiscent of the nearby seashore. 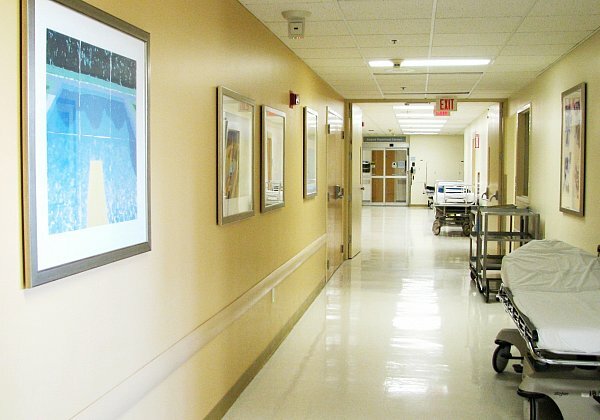 Finishes such as clay walls and rubber tile floors set a new sustainable precedent for the hospital.